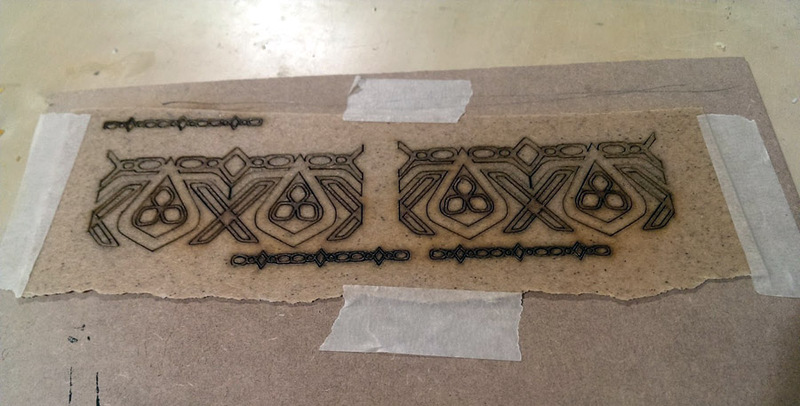 A question we are often asked is if Worbla Products can be Laser cut. 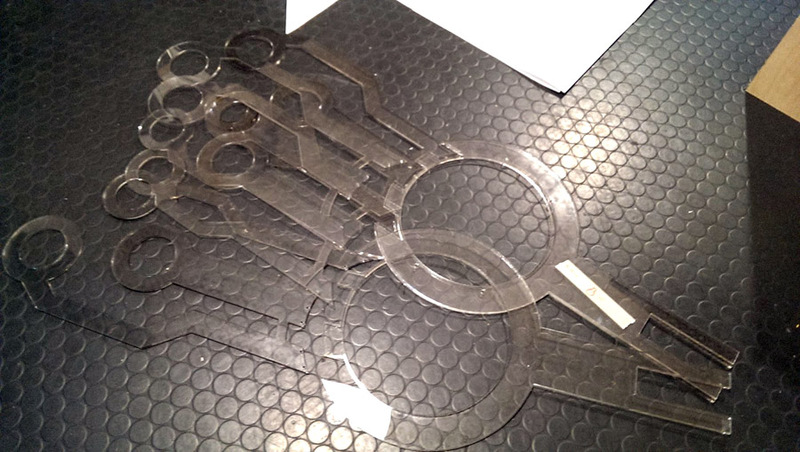 While we do not have a laser cutter ourselves, and all of our information comes from our customer base, we’ve collected information here to help you understand the process, what can be easily done, and what risks there may be. 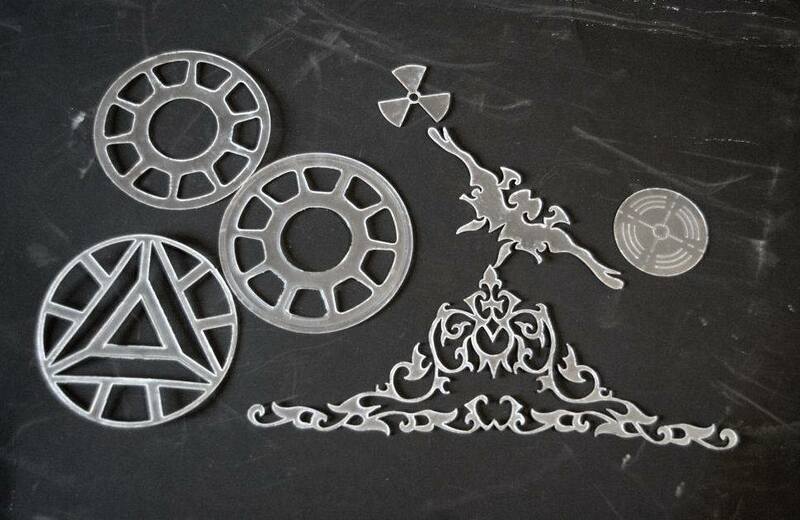 If you have never used a laser cutter before or are curious about the applications, options and results, you can check out our resource list here. 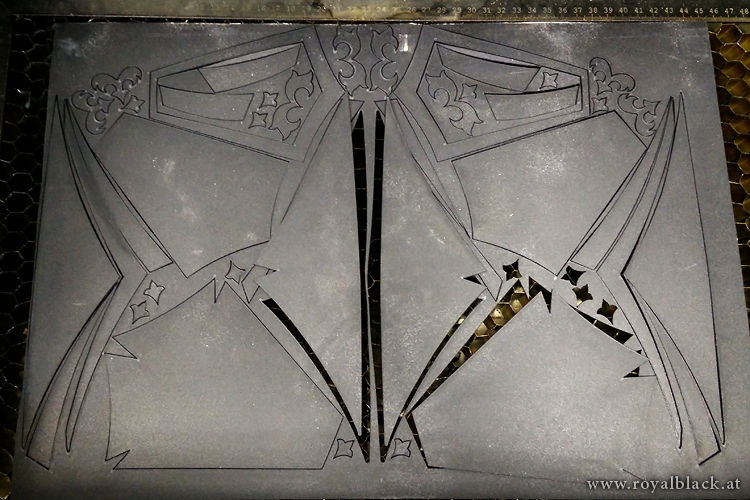 First and Foremost: Worbla Products can be put through a laser cutter! Corsets created by Royal Black Couture, laser cut Worbla used for the collar, shoulder, and leaf details. The Dangerous Ladies recently did an in-depth test on both Worbla’s Finest and Worbla’s Black Art, which you can find the details of here. In short, Worbla products are ok by most industry standards to run through a laser cutter, and we have some artists who have been doing so for years. That said, you can request the MSDS sheets via email to Amanda@worbla.com if you need to run the specs through your local makerspace. Note: It is important to know that while Worbla products are non-toxic and do not contain chlorine or lead, you should still not inhale the fumes for extended periods of time when the product is being burnt, and so proper ventilation is strongly suggested. If you are sensitive to smell, it’s suggested you start with Worbla’s Finest Art, as the wood filler content makes for a less offensive scent when cutting. TranspArt laser cut by Last Minute Man’s Kitchen. This really depends on your individual machine, and so your best practice is to do some tests before committing yourself to a large attempt. Volpin Props, for example, runs at 40% speed and 85% power on a 45W machine. Another piece by Royal Black Couture. 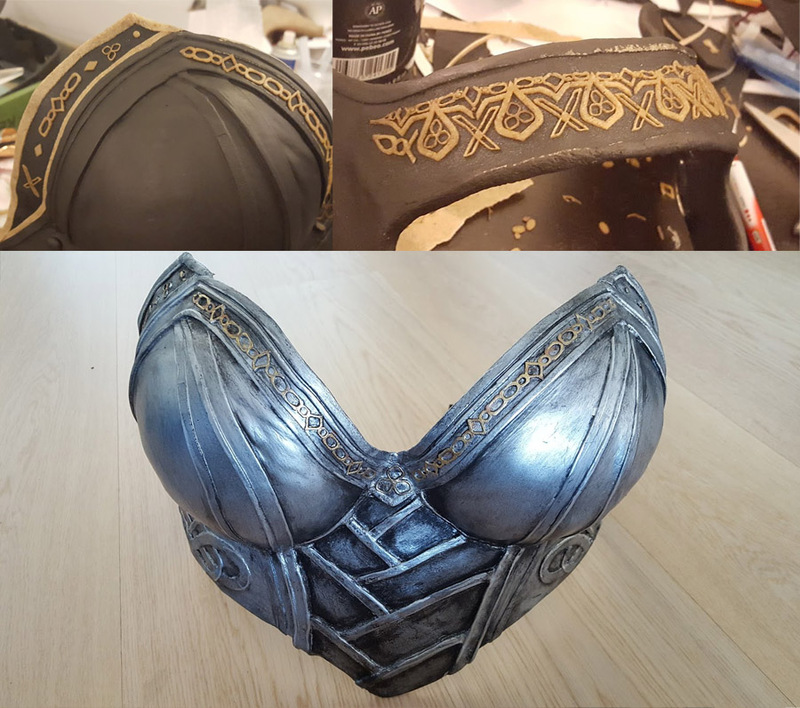 From their page: “One of the best things is, that it (Worbla) can be laser cut – which means perfectly clean lines instead of uneven scissor cut edges. I’m really happy with the material so far. Worbla can smoke while being cut, and so you may need to pause and clean your mirror or interior as you work. For extra security, Chrisx Design suggests taping down Worbla to a surface such as MDF to prevent your Worbla edges from warping up and catching in your machine, if using smaller pieces. Who Will Laser cut Worbla For Me? We are currently curating a list of services and makerspaces that will either help you to lasrcut Worbla yourself, or to do the process for you. 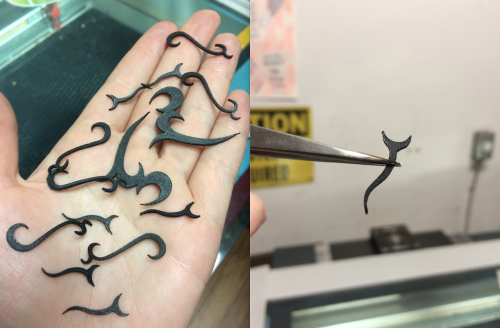 If you know of a location that allows Worbla to be cut on their machines, please let us know. What about other machinery? ShopBot or CNC Routers? We don’t yet know! But if you know, or are able to run a test for us, please let us know!